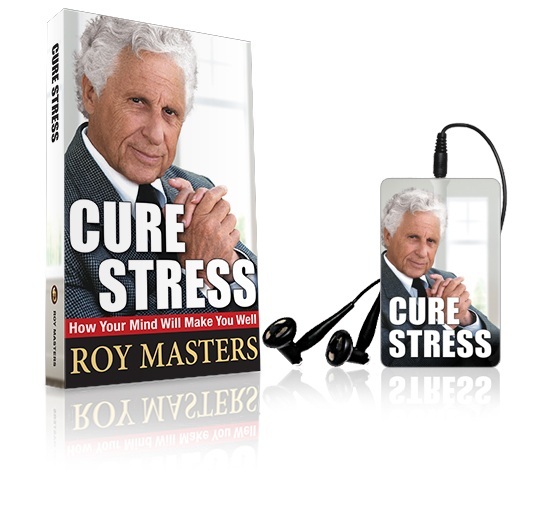 Portable and private, the Cure Stress Device works with earphones and fits easily in your shirt pocket, allowing you to take four powerful exercises with you anywhere—discreetly and conveniently. Try it and share it. Great for kids. 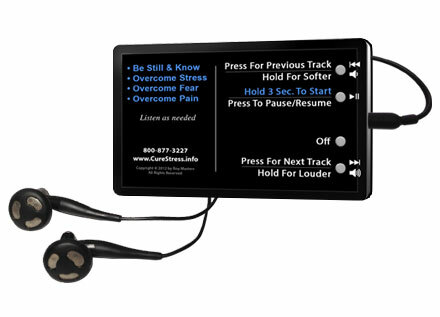 Comes with four special exercises: Be Still & Know, Overcome Stress, Overcome Fear, and Overcome Pain. In the box are earphones, charging cable, and power plug adapter. (Note -"Purple candles" style device currently unavailable). Learn how to resolve your fear, anger and guilt, and discover your true identity. Most of us are the sum total of our experiences. Another way of saying this is that we are bothered, burdened, and sometimes disabled by our past. Unless we learn to respond correctly in the present moment, the present merely becomes an extension of the past that we are trying to leave behind. 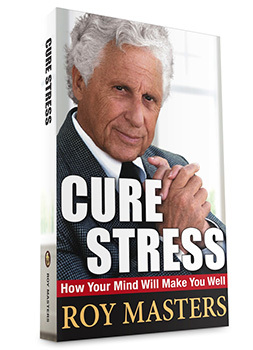 Roy Masters teaches the Cure Stress exercise which enables the user to remain calm and patient in the face of extreme stress, confusion and cruelty. 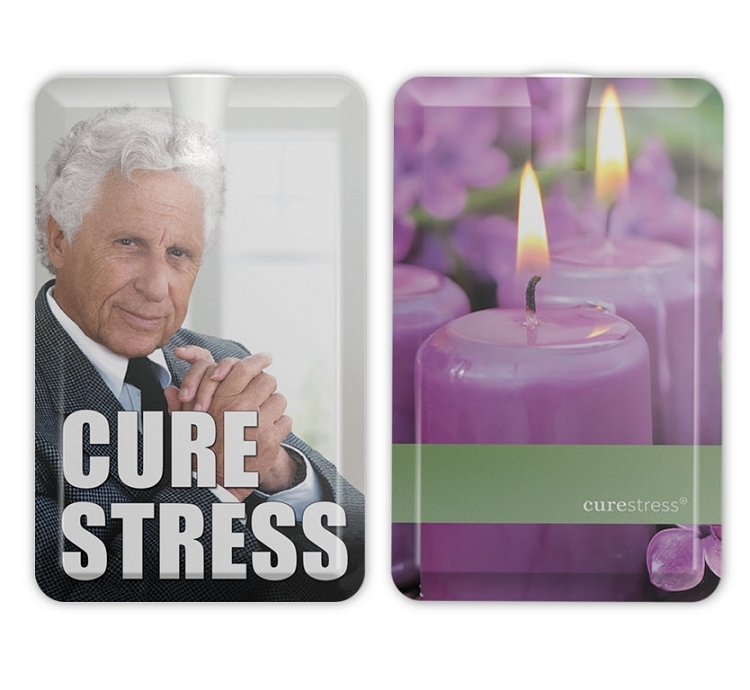 Based on Judeo-Christian roots, the exercise will help lead you back to your center of dignity and understanding and show you how to remain sane, poised and tranquil under the most severe trials and tribulations.